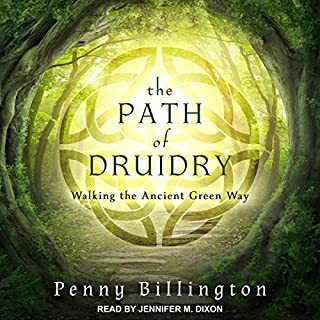 So if you want a collection of engaging Celtic myths that can cause some people to scream for more as oppose to falling asleep, click the “Listen to this audiobook now” button! The author is an historian type, here takes a look at the mythology of the Celtic people. This is a pretty involved topic, as there are a lot of different tribes and groups that make up the Celts, so a lot to cover. I wasn't sure how some of the names would be pronounced, which made it a bit difficult at times to read. But that is a minor quibble. 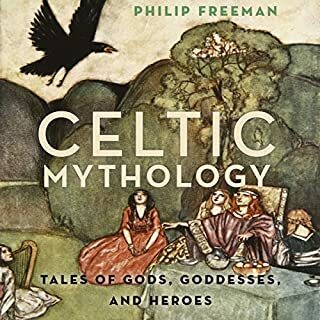 I highly recommend this book - to beginners in the area of Celtic mythology, and to anyone who likes to read good stories. 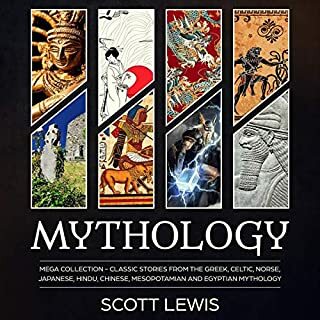 I have always been interested in the stories from Greek & Roman mythology, and am just now becoming more interested in "recovering my roots" and learning more about the mythology from my own Celtic background. This book was a great way to begin learning. Son loves myths and legends and for me to find this Celt one, it was a big hit. He shared it with his friends who enjoyed it also. 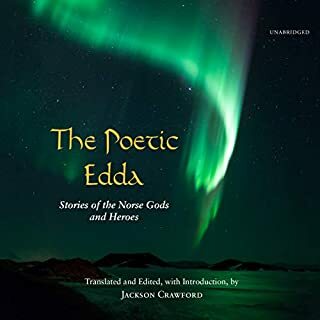 A wonderful book full of many myths and legends which were helpful to my writing a short story surrounding the Celtic legends. Perhaps as i move further in my writing I will use more of the legends. I do not know yet. even should I not use any more of it, i still plan on listening to the entire book on its own merit just because I am Irish. The book makes good and light bedtime listening (perhaps what I call a light read might be different than others, but this is pretty light). The stories are generally suitable for telling to kids. It is a nice collection, but has very little value from a scholarly perspective. This book is a compilation of retellings of Celtic myths, legends, and folktales. The book is broken up by region and covers Ireland, Man, Scotland, Wales, Cornwall, and Brittany. I found his style enjoyable and easy to read but the structure of the Celtic style of storytelling is entirely left out. Those interested in this should look at his sources (which he discusses if not citing specifically). First, this book is not suitable for deep mythological studies. Usually here you need access to source material in the original languages. At least Ellis points you to that material if you want to go that route. A greatwriter, I need information about history from the eyes of the viewer. This book gives me an insight into the mind of the people that lived it. 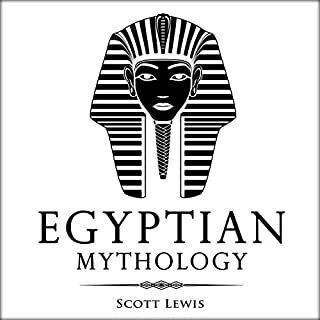 Lots of fascinating myths and legends, from lots of different countries. Easily accessible language. Recommended. It is definitely the best of all books which I've read on this particular topic. It is very interesting and easy to understand book. I loved it. An excellent book covering a time before recorded history. Fascinating review of a lost religion with very few relics. Anyone who watches Game of Thrones will love it. 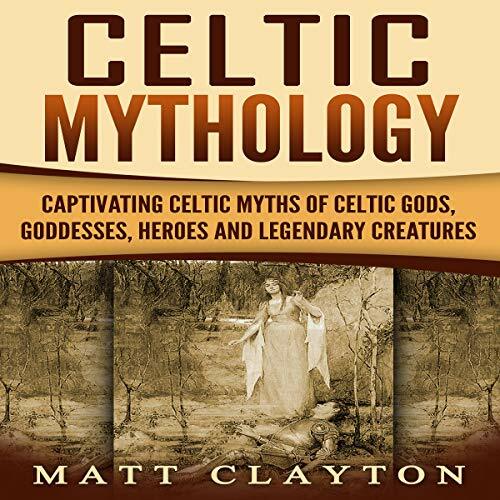 This book is a clear and complete overview of Celtic history and mythology. And as such, it is truly among the best I've read...and I’ve read many. There were a few typos and I would have liked to see more about the different gods and goddesses as well as a tidbit on Ogham, but all in all, I highly enjoyed it. 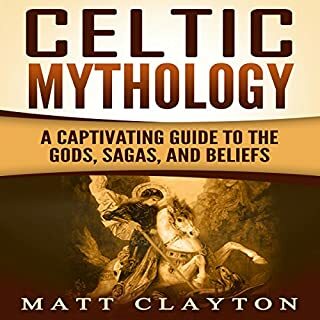 I would definitely recommend it as a beginner text for Celtic mythology. I really appreciated that it focused on the truly pagan aspects of their belief system(s) rather than the oftentimes presented Christianize manipulation thereof (see: "destruction of a belief system and society"). I loved this book as a quick read. It was highly informative, very engaging, and tackled a variety of topics. It was like a primer for Celtic Mythology. All things considered, this is a solid effort on a large subject condensed down to less than an hour of listening, and worth the time of anyone interested in this subject. Four stars. There is a mountain of names of people and gods, so many names that a reader could become easily lost. However, the author has arranged the book in a sensible manner, starting with creation myths and then moving on to the main gods. With that under your belt, the book moves on to explain sources of Celtic mythology, and follows that with the ties to Christianity. The creation myth section is my favorite. "Once upon a time, there were no gods or humans - only the land and the sea. Where the sea met the land, a white mare, Eiocha, made of sea-foam, was born." It's a fast read, and you'll either feel you got a satisfying lunch or be hungry to sample more courses by following links helpfully provided by the author. A fun overview of Celtic mythology. Easy to digest, except I would really love to know how to pronounce gods' names. How fantastically useful to have a pronunciation guide for words like Tuatha de Danaan, Tain Bo Cualnge and others with an uncomfortable excess of vowels and diacritical marks.